Welcome to Virtual Private Network (VPN) 101. As a brief introduction, I’ve been using VPNs for a relatively short time – less than a year in fact. However, prior to that, I had already been sitting on the fence for quite a while. Will using a VPN keep my information safe? Am I really untraceable with a VPN? What devices does a VPN work on? How difficult is it for me to use? 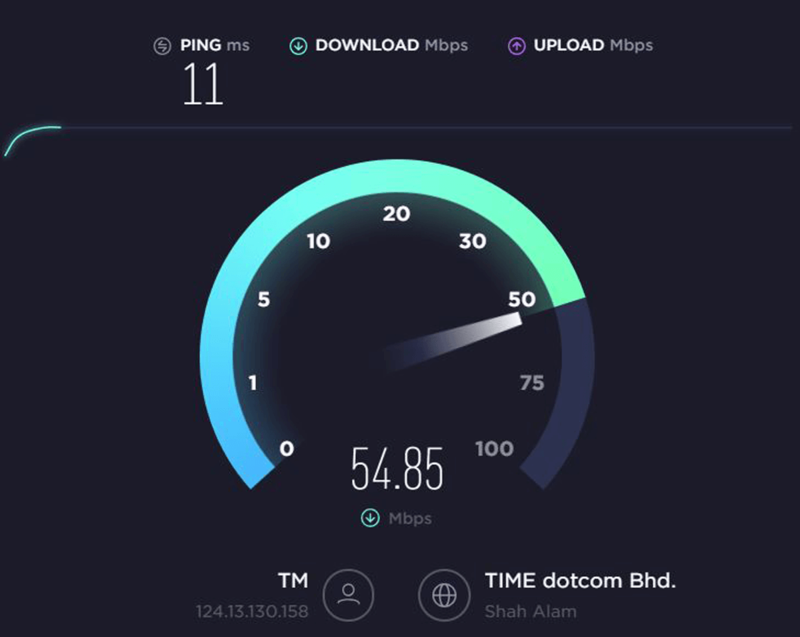 Will a VPN slow my internet connection? How do I tell if my VPN is good? Why are VPNs illegal in some places? Can my VPN service get blocked? What is a ‘kill switch’? Will using a VPN affect my online gaming? How much would a VPN service cost? Wrap up: Should I really get one? A VPN connects your PC, Mac, Tablet or other device to the Internet through another computer. You’re connecting to the Internet through another computer’s Internet connection, rather than directly through your own. Aside from that, the VPN also encrypts the data you send, so that it’s kept secure. In its most basic form, a VPN offers users a way to connect to the Internet securely and privately. By connecting to a VPN service first before being routed to the Internet address you’re heading to, your location is known only to the VPN provider. Most VPNs have several locations you can choose to show your location as being from, so that helps you get around geographic restrictions in some cases. Some service providers on the Internet restrict things from certain locations. Take for example Netflix, which has different movies for different geographical zones. Naturally, it also helps you to get around content censorship in various countries (the list of which is growing). If you’ve ever wondered about governments or Internet Service Providers (ISPs) snooping on everything you were doing online, then a VPN is absolutely for you. Did you know that in many countries, your ISP can sell your browsing history to marketing and advertising agencies? And that if requested by many governments, they are legally bound to hand over logs of your online activity? *This is a basic diagram of how the data flow goes if you’re using a VPN. The image is from ExpressVPN, but all single-bounce VPN connections work the same way. In a normal Internet connection, when you try to access a website on the Internet, your computer routes the request through your ISP’s server, which then connects you to the website. In a VPN connection, you connect directly to the VPN’s server, bypassing your ISP’s server. If you’ve heard of a firewall before, the VPN acts in a similar way, shielding and protecting your Internet connection by means of private servers and encrypted data streams. One of the key elements of a VPN that makes it so desirable is security. In a VPN connection, all the data you send and receive is encrypted. So, if anyone were to try to intercept the data you’re sending, that encryption would keep you safe (or at least, safer than if it were transmitted without encryption). Consider these scenarios; You’re shopping online and going to make a purchase – your credit card information may need to be passed to the merchant. You’re at a café and trying to access your email account – your password will need to be sent to your email server for verification. These are just two simple cases where a VPN can keep you and your data safe. A VPN IP address and encrypted traffic alone are not enough for you to remain untraceable. True, it makes you more difficult to trace, but for someone with the right technical skills, there can be ways around this. Your IP address isn’t the only thing that identifies you online. In fact, there have also been instances where VPNs have been known to leak actual IP addresses. Other methods of tracing you include doxing, use of malware, plain old carelessness and more. I would say that how anonymous and untraceable you’d like to be (or how paranoid you are) would affect the exact combination of services you use together. For example, you could use a VPN combined with an anonymous browser such as TOR, plus an Internet Security program as well as exercising some brain power in what you do online, especially in terms of information sharing. So, the short answer here would be no, you’re not completely untraceable. When you’re connected to a VPN service, all your Internet traffic and communication passes through a secure tunnel. That is what keeps your information private and safe. IPSec authenticates the Internet session and encrypts data during the connection. It has two modes, Transport and Tunneling, so data is safe during transfer between different networks. IPSec can be combined with other security protocols to make sessions even safer. L2TP is one of the other protocols which can be used with IPSec. It creates a tunnel between two points which IPSec handles the encryption of the data that is passed between them. PPTP is an all-in-one protocol that both creates the tunnel and encrypts data. It is very commonly used and supported, even on Mac and Linux systems. This is something that needs to be taken note of, since not all VPNs have a no logging policy. Logs are history files record your Internet traffic history. If logs are not kept, obviously the VPN service provider can’t sell it or hand it over to any government or law enforcement agency, right? If a VPN has a no logging policy, this is often stated very clearly on their website. Take for example PureVPN, one among many which do not keep logs. Most VPNs will have their own processes, but the basic theory is that you install the VPN software on a device (such as your router, PC, or smartphone). Configuration could be as simple as entering your VPN username and password when you launch the software, but there are some VPNs which offer you more options. These could involve selecting the security protocol you’d like to use, or manually choosing which server location you would prefer to connect to. There are three main categories of items that VPNs usually can work on (depending on service provider): Desktops/Laptops, Smartphones/Tablets and routers. 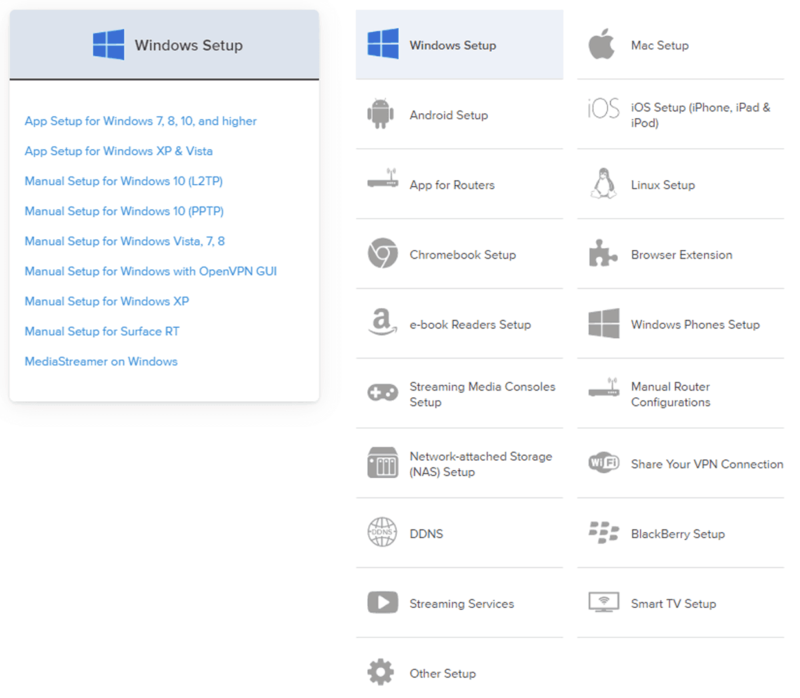 More specifically, they will usually work on platforms offering Windows, Mac OS, iOS, Android and Linux (Most router are Linux based). Do take note that not all routers support the use of VPNs. If you’re using one of the better, popular brands and models, it’s likely that you can use a VPN, but it would be better to check with the manufacturer or simply stake out a forum and ask. I use a TP-Link Archer C7, which does. I know that there are some sites out there which will say you need custom firmware such as DD-WRT or Tomato, but that’s simply not true. However, if your router does NOT natively support a VPN, then flashing it to one of those might help you out. Next again comes the cautionary note: Even if you’re using a VPN on your mobile phone, there are many mobile apps (which you may have installed) which have much more information than your IP address. Remember those pesky permissions you had to grant when installing them? Well, this means that even with the VPN, your data can still be sent to the developers of those apps. Very simply put; not really. Almost all VPN providers have extensive tutorials on how to set up their applications on multiple devices. I’ve gone through a fair number of them and some even go as far as to have step by step videos on how to set up. 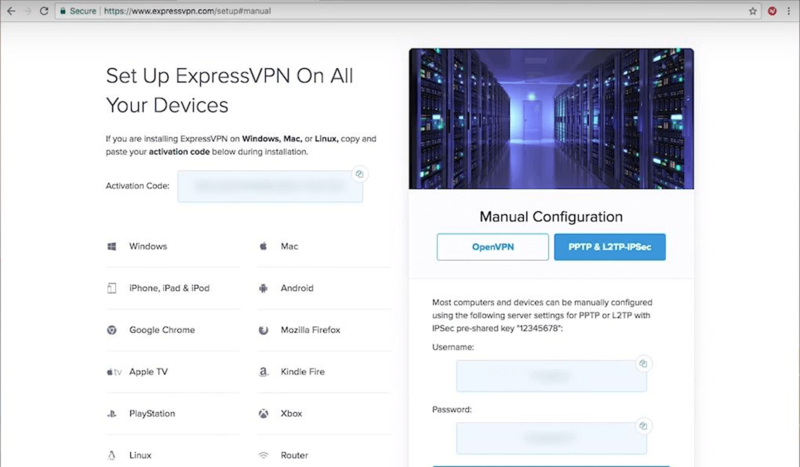 Have a look at ExpressVPN’s How to Setup page as an example. Most VPN providers will have something like this that has extremely detailed instructions. In fact, some are so easy to setup that all you’ll need to do after installing the app is to enter your username and password, then select a server and off you go. The answer to this would be maybe. Because of the nature of the service, there will usually be a slight slowdown. However, with almost all reputable VPN services, this slowdown would often not be noticeable. However, if your ISP throttles Internet speeds sometimes for any reason, then using a VPN will could improve your speeds. Many top-level VPN providers have excellent networks that make use of tier-1 bandwidth providers. As a rule of thumb, any speed drops you notice would be slightly larger the further away the server you choose to connect to is. Your hardware plays a crucial part in connection speed. When VPN encrypt your data, the process requires a lot of computing power. Every device has a microprocessor at its heart which affects the speed at which the device does things. This speed is rated in gigahertz (GHz). The higher the GHz, the faster the encryption and therefore faster connection speed. The average router ranges in processor speed from 800MHz to 1.2GHz (although there are higher-end models which rate 1.8GHz or more). The average laptop runs at around 1.6GHz to 2.2GHz while the average PC runs between 2.6 to 3.4GHz. When running a VPN service on a router with a processor rated at 1GHz, the VPN line speed is slowed significantly. According to TorGuard technical support which I consulted with, the maximum speed I can get via a router deployment here is around 17Mbps. Running the same VPN on a laptop at 1.8GHz will give you a speed of around 150Mbps. The point here is that there are many moving parts to the performance of a VPN, so to enjoy maximum benefits of a fast VPN connection, your own equipment is integral as well. There are literally dozens (hundreds if you count lesser providers) of VPN services available. Some of them are mainstream VPN providers who specialize in that, but there are also many Internet security companies today such as F-Secure, Kaspersky and Avira who have branched out into the VPN game. This is the age-old ‘you can’t have everything’ clause. The more it costs, the better the service is likely to be. Not ALWAYS, but as a rule of thumb. Most VPN providers can charge you maybe a few bucks a month, but if you’re REALLY paranoid about your privacy and security, are you really going to quibble over a bit extra for peace of mind? Choose the balance that fits your frame of mind, keeping clear to yourself your main objectives of subscribing to a VPN service. 2. Does it keep logs? This is very important. No matter what your budget or purpose, a VPN provider that keeps logs is just a huge can of worms waiting to be opened. And you know what happens when that can is opened. Just having the logs is just asking for trouble – service providers have been known to buckle under government pressure many times before. Choose a provider that is very strict about a no logs policy. This is more applicable to people who are using VPNs top get around geographical restrictions. For example, if you’d like to access Netflix content from the US region, you’ll need a… US server on your VPN! The more server locations a provider has, the more options you have. The greater the number of their servers, the more likely your connection will be smooth and fast. Today’s average household has gone crazy on devices. Imagine even just one couple, who each have a laptop, tablet and smartphone – That’s six devices under one roof. Make sure that the number of connections the VPN provider you sign up with is suitable for your lifestyle. This is an issue that’s come increasingly to the fore of late. Apparently, some VPN providers had slight technical problems, and the real IPs of their customers were leaking, meaning they were paying for a service which didn’t work. To overcome this problem, many VPNs offer a trial period you can sign up for. Make sure you check your connection well during that trial period, and if your IP leaks, well you know what to do – RUN. I debated whether to add this item in or not, but in the end my OCD overcame me. Some VPNs have such crappy interfaces that there simply AWFUL to use. Just…have a look before you splurge on that three-year discounted plan, ok? VPN services of course base their selling on privacy and security. SO how do you know if the one you’ve opted for is performing as it should? DO you know if your IP is kept safe? What about those leaks you’ve heard of? These concerns are sometimes due to what I’d call ‘broken features’ in some VPN providers. This means that they don’t work as advertised, which means your identity may be at risk. Here are some simple tess that can help you. Visit IPLeak and read the information presented to you there. If your VPN is working as it should, you will be looking at the VPN Server information rather than your real info. DNSLeakTest can also do something similar if you’d like an alternative. To test your VPN speed, visit SpeedTest or TestmyNet and run the tests there. You can run them before and after connecting to your VPN server to test the difference in speed and latency. *SpeedTest will show your upload and download speed, as well as latency to the nearest server. There are of course more advanced tests that you could perform, but those are a little more detailed to include. Even if you’re satisfied with the VPN service you’re using, running tests from time to time is a good idea, if only to ensure your own peace of mind. This might seem to be an odd question for some to ask, since there are so many VPN providers around, but remember that the Internet has no single government controlling it. However, YOU are restricted by the laws of the country you reside in, so make sure that a VPN is legal in your country before you buy a subscription. Before you scoff, let me tell you that there are some very uptight countries out there. Take for example the United Arab Emirates (UAE). Getting caught using a VPN service in the UAE can land you with a whopping fine of between US$100k to $500k. Unsurprisingly, China has also recently passed regulation that allows only the use of government-approved VPN services. Supposedly, this is to “regulate VPNs which unlawfully conduct cross-border operational activities” but as we all know, it’s just another extension of the Great Firewall of China. And finally – If you’re thinking of using a VPN just to get around a censorship firewall in your workplace or school – you could get fired or expelled (depending on your position). Kapish? It depends really, but for the most part, countries that ban VPNs tend to have stricter control over their citizens lives. By banning VPNs, they are more easily able to monitor all online movement their citizens make. Some countries which are really uptight about their Internet censorship have gone to the extent of blocking VPN services. Although they can’t unencrypt the data, VPN blocking in those countries have been shown to have successfully blocked VPN access by stopping access to ports normally used by common VPN protocols. Take for example the Great Firewall of China, which is a small part of the country’s overall efforts to maintain public security by close monitoring of information systems. Peer-to-Peer file sharing or Torrenting is not illegal but has been known to raise flags since the status of the files being shared is not always known. For example, sharing certain video files might violate Digital Millennium Copyright Act. Some copyrighted software has also been known to have pirated versions circulated via Torrenting. However, torrenting has also been known to consume high bandwidth, so there are some VPN providers who either will not allow torrenting on their services or will have bandwidth restrictions in place for those scenarios. If you are looking for a VPN service that is torrent-friendly, make sure that is also explicitly stated on their sites. Most people use VPNs to help ensure their privacy, which is most important to them. That’s why many VPN services introduced the concept of a ‘kill switch’. These are meant to help immediately cut your connection if your service to the VPN server is interrupted for any reason. This helps prevent your actual IP from being exposed while the VPN service is not available. Of course, if you’d prefer the connection stay on instead of dropping, in many cases you can just opt to turn the kill switch off. Gamers are often very critical of introducing any new elements into their networks since they are always very afraid of the addition possibly causing additional latency. Latency is a killer for online games, and I’ve personally seen gamers scream at monitors when facing unusually long ping time. Some have looked at VPNs critically, since they wonder how it is that adding an additional layer between them and the game server can possibly lower their latency. Remember, you can choose which server on your VPN you’d like to connect to. By connecting to the server location closest to your gaming server, it’s likely that you will see improved ping timings. Aside from that, multiple server locations also means that you’ll be able to games servers from countries / regions that you’d not normally be able to. 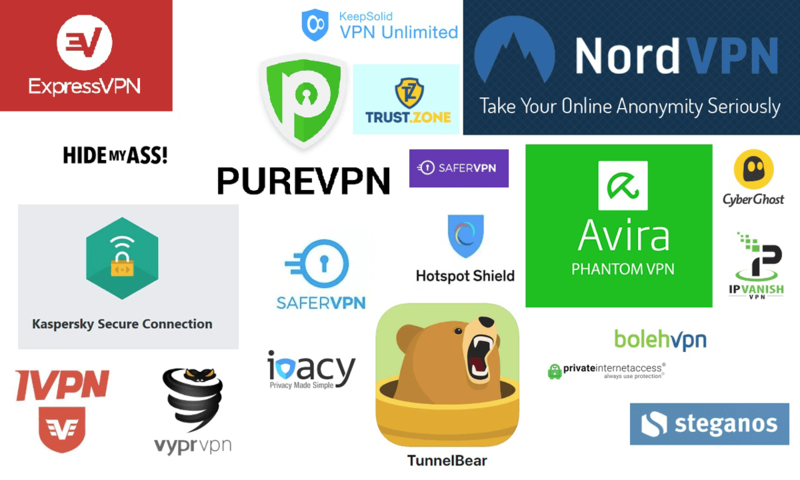 There are quite a few free to use VPN services out there, in fact, some of which are run by bona fide Internet security companies such as Kaspersky. However, there are often slight technical issues when considering these. Free service providers have to earn revenue from SOMEWHERE, and these companies are handling your data. Excluding the free VPN service providers, you can probably expect to pay anywhere between $2-$10 a month, depending on various factors. Plan features and payment periods often factor into the price. The longer a period you opt to pay for in advance, the lower the price will usually be. Take the case of NordVPN, which prices according to how long a period you opt for. By paying monthly, the price is $11.95, but if you pay annually, the price drops to $5.74 a month. 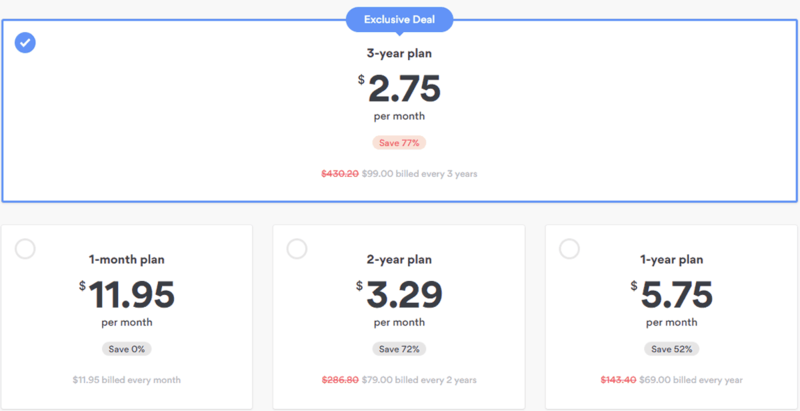 Opting for the three-year plan drops that down to as little as $2.75 per month, which is an excellent price. Weigh the benefits of being tied into a service for two or three years versus the saving you’ll gain compared to paying monthly. Exactly at which point the sweet spot is would depend on everyone’s individual preference. Credit cards make our digital lives so easy, since they are a sure fire means of passing payment to vendors. However, when it comes to VPN services, it may seem a bit strange to pay for anonymity by using a method that’s sure to identify yourself. Thankfully of late some service providers have started accepting Bitcoin or other cryptocurrency as payment. To know if the service provider you’re opting for accepts Bitcoin, check for the Bitcoin sign on the accepted payment methods page on the VPN’s site. Of course, if you opt for the Bitcoin payment method, there is no automatic renewal and you’ll have to go through the payment process each time you renew your service. The digital world of today is fraught with peril. Between government snooping to hackers and fraudsters, keeping your digital activity hidden should be a norm and not a consideration. This is especially true of public networks – such as your mobile service provider’s GSM or LTE band – so be smart and use a VPN. Let me share a very simple scenario with you of a personal experience I had before buying in to the VPN story. I was sitting at a café with this young lady after an event and we were talking about online safety. She surprised me when she mentioned she used a VPN even on her mobile phone, so I asked her if her security was really at risk. She showed me the app on her phone which showed a log of over 30 eavesdropping attempts just that day alone and explained that the number went up or down depending on where she was. Now that’s just downright frightening. If you’re considering adding a VPN to your list of security tools, I highly recommend you do so. If you’re NOT, I still highly recommend you do so. As the recent Krack attack has shown us, a VPN service is a necessity nowadays. Stay safe and have no regrets. Timothy Shim is a former tech journalist who has turned his experience towards his business as a writer, editor and content strategist. Today, he helps businesses craft compelling messages and advises on SEO, content marketing, and social media strategy.